We are writing to express our profound concern about the disappearance of respected Lao development leader, Mr. Sombath Somphone. Sombath is the founder and former director of the Participatory Development Training Centre, a winner of the Magsaysay award and a tireless worker for sustainable development and improving the livelihoods of people in rural Laos. Sombath was last seen by his wife who was driving ahead of him, on the evening of December 15th in the Lao capital Vientiane, as the couple returned home in separate cars. CCTV footage released by the Lao police shows Sombath stopping at a police post and leaving his vehicle. The footage then shows his jeep being taken away by someone else. He was next seen getting into a pick up truck with two other men and being driven away. His family has had no contact from him since. This is my third appeal to the Government of the Lao People’s Democratic Republic to release information or results of investigation of the disappearance of my husband, Sombath Somphone, on the evening of 15 December 2012. Today is the 45th day since my husband’s disappearance and I have done all I can to cooperate with the police and provided information to assist the investigation and find my husband as quickly as possible. I have also met with the National Assembly Vice-President and his staff to appeal to the National Assembly, as the representatives of the people, to urge the police to expedite the investigation. But all these efforts have not yielded any concrete information related to the progress of the investigation, other than statements that “the police are still investigating”. What did the police manning the police post the evening of Sombath’s disappearance on 15 December 2012 said what happened that night, and what did they see? Whether the motorcyclist who drove away Sombath’s jeep has been identified? Has Sombath’s jeep (License plate No. : 2624) been found? Whether the white truck with flashing lights that stopped at the police post and took my husband away been identified? Has the driver of the white truck who drove away with my husband been questioned? If the footages were too blurry, as claimed by the police, has the Ministry of Public Security sought technical assistance from any other government or international security agencies? Are they too blurry for the entire Tha Deua Road CCTV cameras? Has the Lao police issued an Interpol Yellow Notification to inform colleagues in the region about Sombath’s disappearance and sought their assistance? BANGKOK – The European Union has piled more pressure on Laos with a strong expression of concern over the disappearance in December last year of prominent Magsaysay Award winner Sombath Somphone. In a one-hour meeting on Friday morning in Vientiane, senior European diplomats raised the issue with Laos’ Deputy Prime Minister and Foreign Minister Thongloun Sisoulith. “They also spoke for other like-minded countries – the United States, Switzerland, Japan and Singapore,” said a diplomatic source familiar with the meeting, known in diplomatic jargon as a démarche. The 62-year-old Mr Sombath, who is married to a Singaporean national, is one of Laos’ most prominent civil society figures. His Participatory Development Training Centre was active in education, health and food security issues. He won the Magsaysay Award – Asia’s equivalent of the Nobel Prize – for Community Service in 2005. He is no firebrand, however; instead, he is known for his mild manner and his nuanced approach to sensitive issues. He vanished on the evening of Dec 15. CCTV footage of the incident showed him pulling over in his jeep at a busy intersection in Vientiane and getting out to speak with police. Minutes later, a man on a motorbike pulled up and drove away in his jeep. Next, a big car with hazard lights flashing pulled up and Mr Sombath got in. He has not been heard from since. You can read the open letter to H.E. Thongsing Thammavong by clicking this link. 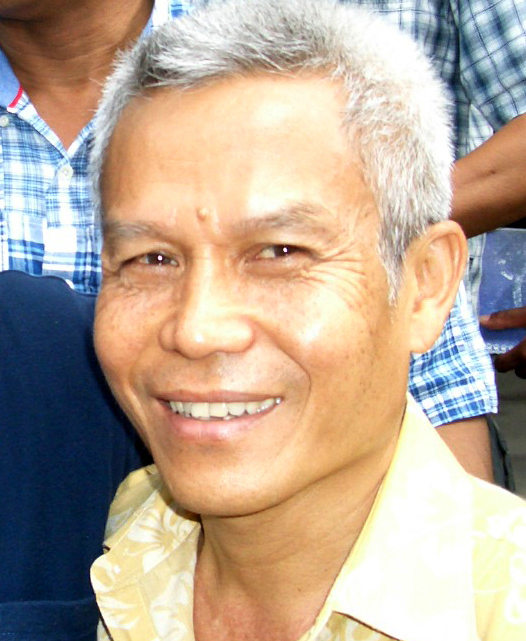 The ICJ calls on the ASEAN Intergovernmental Commission on Human Rights (AICHR) to take an active role in determining the fate and whereabouts of Sombath Somphone, a community leader in Laos. The ICJ also calls on the AICHR to fulfill its mandate under Article 4, paragraph 1.11 of its Terms of Reference, and develop a common position and strategy for tackling the serious problem of enforced and involuntary disappearances in the ASEAN region. This position must aim towards hastening the resolution of cases of enforced and involuntary disappearances in the region, as well as effectively preventing these violations in the future. Sombath Somphone is the founder and former director of the Participatory Development Training Center (PDTC) and 2005 recipient of the prestigious Ramon Magsaysay Award for Community Leadership. He also led Laos’ civil society groups in participating at the Asia-Europe People’s Forum (AEPF) held in October 2012. He was last seen being stopped by local police at the Thadeau police station on 15 December 2012, at around 5:00pm. His family has no information on his fate or whereabouts to this day. We are deeply concerned about the well-being of Lao civil society leader Sombath Somphone, who disappeared one month ago. Reports indicate that Mr. Sombath went missing on December 15, 2012 after being stopped at a police checkpoint in the capital city of Vientiane. We call upon the Lao government to pursue a transparent investigation of this incident and to do everything in its power to bring about an immediate and safe return home to his family. Mr. Sombath has worked tirelessly to promote sustainable development in Laos and he inspired a new generation of young leaders. He founded the Participatory Development Training Center, which trains Lao youth and local government leaders in community development and poverty reduction. His disappearance has generated a tremendous amount of concern from his family, friends and colleagues around the world. We urge his immediate return home and send our thoughts and prayers to his family and loved ones. The delegation was assembled in 10 days’ time owing to the urgency of the matter. Despite the short notice, high officials of the Lao PDR met with us, and we are very grateful for this. We had a very frank exchange of views in a cordial atmosphere. We told the officials we met with that the disappearance of Sombath is an ASEAN concern because Sombath is an ASEAN figure whose work has touched the lives of many people in Lao and other countries in ASEAN. His work on rural development was a model emulated throughout the region. Moreover, at a time when ASEAN is coming together as a real community in the eyes of the world, his disappearance reflects badly not only on Laos but on the whole ASEAN community. The officials we met acknowledged that the disappearance of Sombath is a blow to the reputation of the Lao PDR and that it could not have come at a worse time, coming on the heels of the country’s joining the World Trade Organization and hosting the Asia-Europe Leaders Meeting (ASEM). They also all acknowledged that Sombat was an important civil society leader who has contributed much to Laos’ development working alongside government, with many of them saying they knew him personally. They also noted the special responsibility of the government to solve Mr. Sombath’s disappearance since the Lao PDR has just signed the Convention on the Protection of All Persons from Enforced Disappearance, being the fourth country in Asia to do so. Former Thai prime minister Anand Panyarachun has appealed to the Lao government to do more to locate the missing activist Sombath Somphone, who disappeared in Vientiane nearly a month ago. Anand, who attended the launch of a film at the Bangkok Arts Centre on Thursday evening, said he didn’t want to debate the circumstances of what occurred to Sombath – who exiles claim was abducted by government officials after being stopped at a police checkpoint in the capital. 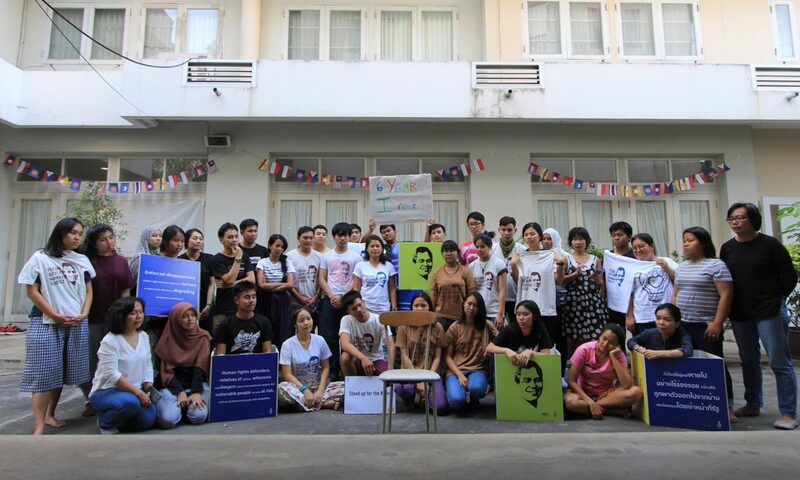 But he urged Vientiane to do more to investigate, saying the 60-year-old social activist was a “very good man”. Speaking during a debate on reconciliation televised by Thai PBS after the film showing, Anand said the disappearance of Sombath was bad for the region. “I hope the Lao government would assume a more active role in finding out the truth of this particularly unwelcome event,” he said. “It does touch on the value of human rights. There are disappearances [when people go missing] and enforced disappearances [when people may have been seized by the state].